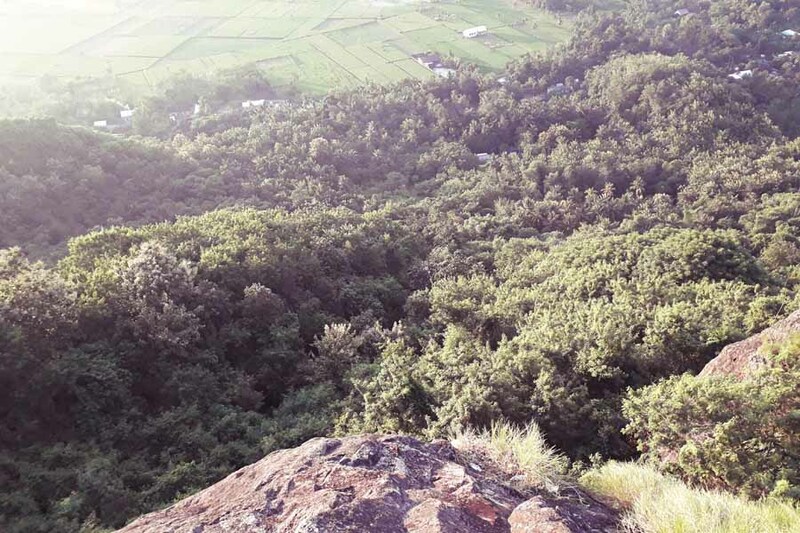 Batu Idung Hills, One Fine Soft-Trekking Spot In West Lombok! Batu Idung is less known for its beautiful view from the top. This 800 meters tall hills located in West Lombok Regency. It takes 30 minutes from main town Mataram. Batu Idung in English means "Nose Stone" or "Nose Rocks", which "Batu" is "Rocks" or "Stone" and "Idung/Hidung" is "Nose" in Bahasa Indonesia. It referred to its shape that looks like a huge nose. And indeed, if you take a look for a moment at it, it definitely looks like a sharp nose! I stood right on the rocks! 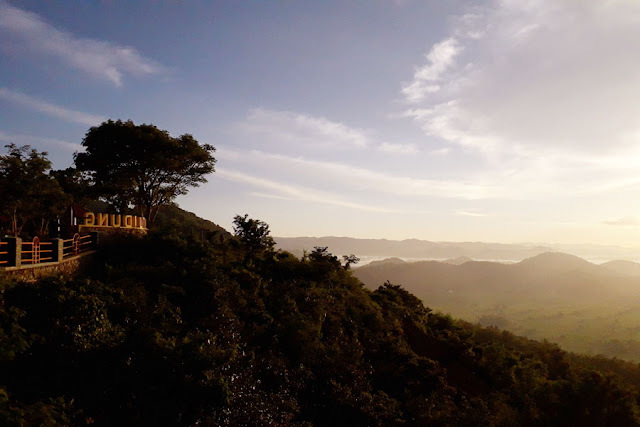 The beautiful being offered by the hills is Lembar landscape. You can even see the west-south coast and ferry in Lembar harbor. The views of surroundings and rice fields down the hills are rewards you will get. Batu Idung Hills, West Lombok. 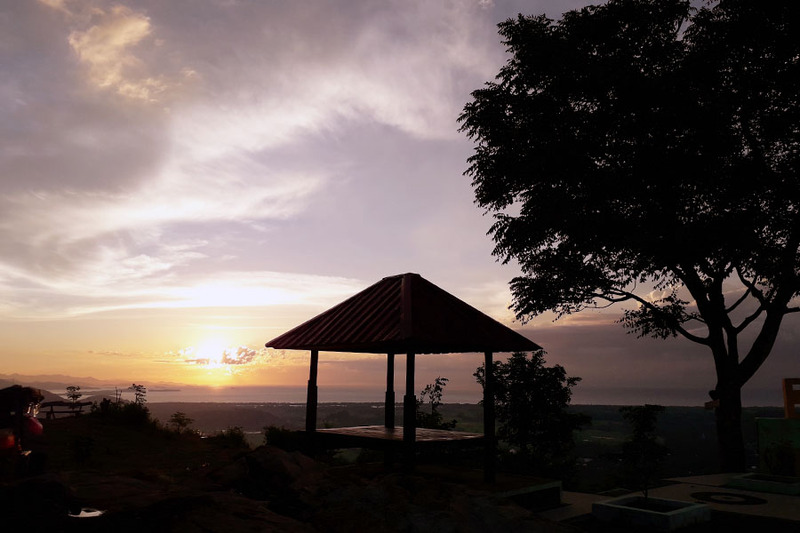 Batu Idung is a favorite camping spot which allows you to see the night sky closer. And in the morning, the magnificent sunrise will let you speak no words for some moment. If the weather is low, about 20 degrees, you will see the valleys all covered with fog. Since it is an Instagrammable spot, Batu Idung is the best for photography. Many unique facilities are available to spot on your camera. Gazebos, sunset and sunrise swing, benches, and warongs. You'll have cost IDR 5000 for entrance and parking area and on the top, you'll pay again around IDR 2000. It's for local visitors, I have no information about foreigners. Could be the same or different. And this down below is my short video when I was soft-trekking to Batu Idung Hills. 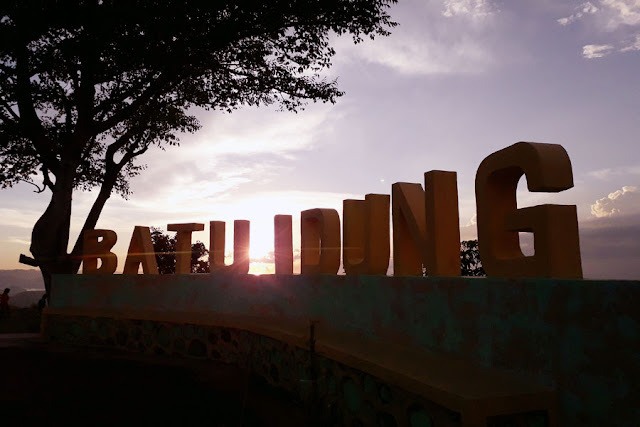 Batu Idung can be accessed through two different routes. The first through Gumese village. If you're coming from Mataram and passing Jalan Raya Lembar, take left just right after the bridge. You need to ride your bike or drive your car for about 30 minutes through a little-slipped road and will be arriving in Gumese village. You can't ride your bike to the location since it is no roads. You will take 10 minutes soft-trekking and through beautiful rice fields. 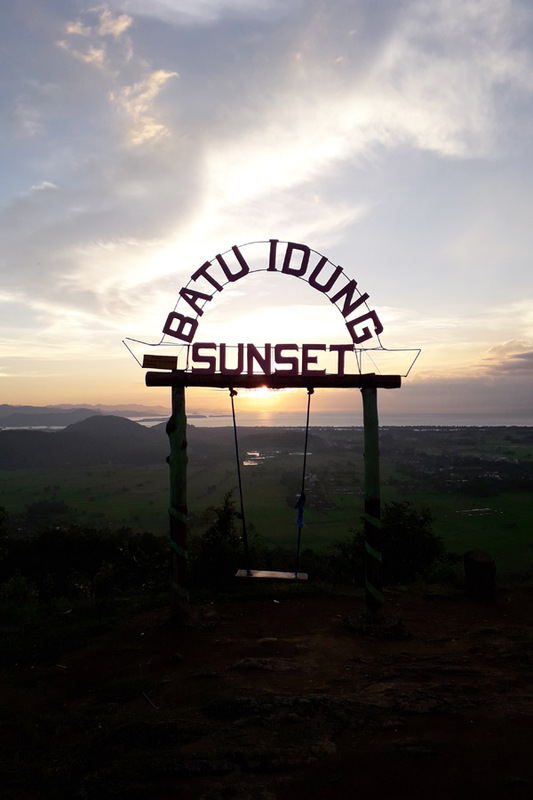 Batu Idung Hills, Sunset moment, West Lombok. Another route to Batu Idung is through Jalan Raya Lembar, Teluk Sepang village. In the main gate, you can either ride your bike up to 500 meters uphill with extremely challenging roads or soft-trekking. I suggest you take 15 minutes soft-trekking.